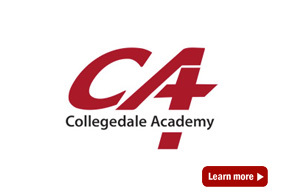 The Greater Collegedale School System exists to provide a well rounded Seventh-day Adventist Christian education that partners with the family to train and equip young people to develop a Christ-like character. 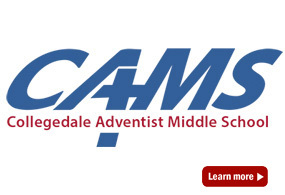 Owned and operated by the Georgia-Cumberland Conference of Seventh-day Adventists, GCSS has three primary goals for our campuses. First, we want to work with families and churches to help students build a relationship with Jesus Christ. Secondly, we want to create a complementary balance between spiritual growth and academic growth. We strive to prepare our students for post-secondary education academic success by providing appropriate, yet challenging academic coursework. Our students learn with the latest technology. Smart boards, iPads, and technology lessons are integrated into the daily program. Each campus has a dedicated computer lab. Lastly, we want to keep Christ at the center of our schools. We accomplish this by providing a variety of spiritual opportunities that encourage a relationship with Jesus, serving the community and encouraging a community of brother and sisterly love. Through the blend of spiritual and academic growth activities, along with a wide variety of learning experiences in fine arts and athletics, the GCSS offers an outstanding comprehensive schooling environment for all students.